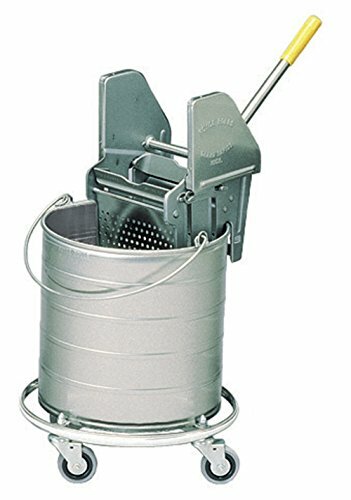 Stainless Steel mop bucket and wringer combo mounted on wheelbase with 3" casters. The bucket is round with 8-gallon capacity. The wringer is 16-24 oz.